Note : Whenever I mean grad school, I am going to be referring to a PhD program. Though most of this advice also applies to MS programs, you should bear in mind that my focus is on PhD program. Since, I do not have much knowledge about the MS programs, I will not comment much about them in this article. 1. Please tell us about yourself, the university you are studying at, the research field you are working on, and the scope it has to offer after an MS or PhD. Also tell us about a typical day in the life of a postgraduate student. 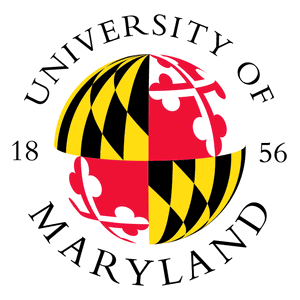 I recently started my PhD in Computer Science at University of Maryland at College Park. I am broadly interested in theoretical computer science. At a high level, this area deals with the mathematical formalism for many of the fundamental computer science problems. The direct application of the work in this area is primarily in computer science, but not limited to it. Due to its extreme mathematical nature, most problems are abstracted sufficiently, to be applicable in a variety of other fields. Some of the common fields where work in this area is used are Economics, Operations Research, Computational Biology, etc. In terms of a researcher in this field, you have multiple options after a PhD. The most obvious choice is academia, either as a research scientist at one of the research labs in industry or a professor at one of the universities. But, due to the versatility of this subject, you can work at a number of other places, which at first do not seem related. For example, a quant researcher at a financial service is one such place. 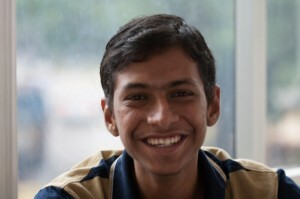 The kind of ideas required in those places requires a strong training in mathematics and computer science. Theoretical computer science is one way, which gives those particular skills to a researcher. Without going into great detail I would list down some places where one could join if one is not too keen on academia. Places such as Google, eBay, Amazon, etc. which does a so-called “Product oriented research” is yet another great place where a PhD in theoretical computer science can be of great help. In recent days, with computational biology relying heavily on techniques from computer science, a career as a computational biologist at industry is yet another lucrative option. With both the industry and academia moving at such a fast pace these days, one should also account for the options, which do not exist as of now, but will be a real option when one graduates. A typical day in the life of a grad student varies widely on what stage of a PhD one is in. For example, most universities have some form of course requirement to be completed in the first few years. Hence, a significant part of the first couple of years is spent doing graduate coursework. In my particular case, I spend about 8 hours a week attending classes and doing related work. Since, I serve as a teaching assistant, I spend another 7-8 hours teaching classes, holding office hours and grading. I spend about 15 hours doing research in the form of thinking about problems, reading relevant materials, attending talks etc. Since, these activities are amortized over a week, one can scale it appropriately to get an idea about the workload per day. The most important lesson I have started to learn is that a high amount of self-discipline is required, as a grad student, to get all the work done. If you want to give your fullest towards your research, classes and yet have a life outside the university, it is highly critical that you make a strict schedule and stick to it. This is yet another important skill you learn in pursuit of a PhD. 2. When did you decide to apply for further studies? What are the necessary skills, according to you, a person should develop in order to make himself cutout for research and not just getting a good Grad school? My decision to apply to grad school was somewhere in third year, where I felt I might like the process of doing research. My first sparks came from thinking about problems from class work and the idea of figuring out solutions after toiling with it for a while. A typical “undergrad attitude”(which I admit, I too had at that point) is to believe that solving hard problems from a course work is in fact a great indicator about liking research. But in reality, doing research involves a lot more activities (sometimes mundane) and one should ensure they like the whole package before diving into it. I tried my hands at some simple research problems at institute and during my internship in summer. What struck me most about these experiences was the fact that I actually liked almost all of the associated activities along with solving problems. Critical thinking, evaluating multiple solutions, collaborating with other researchers, effective communication, a lot of writing, are some, among the many associated activities accompanying doing research. I realized that I would like to have these skills and would also enjoy the process of developing them. So for anyone considering research, I would suggest they try out working on some research problem. The only way to know if you like running a marathon is by running a marathon. No amount of short sprints will prepare you for a marathon. 3. How did you make the choice between placements and applying? Aren’t people who are working on projects and making their resume good enough to apply to Grad school less preferred by recruiters? Though I had pretty much made up my mind to go to grad school, I went through the placement process nonetheless. In Computer Science, a lot of companies in the industry work on exciting stuff. They tackle problems that are challenging and the skill set required to be a competitive candidate there has a large overlap with skill set required to be a researcher. Hence, the conflict of “preparing a resume for grad school” is not too evident. However, one downside of going through both is the preparation process for the interviews alongside with preparing your grad school application. The interview process for most of these companies requires a focused practice, without which you would not stand a chance. This to me is the most important factor when considering both applying to grad school and going through the placement process. You need to put in double the effort and time than usual. However, if one is considering grad school against a so-called “non-core” company, then that’s a different ball game. I would suspect, in such cases one should make a clear decision upfront and prepare accordingly. But since, I never had to make such a decision, I may not be the right person to comment about it. 4. Is a high CGPA required for applying? How do you derive the motivation to study and get high grades in subjects not at all related to your research interests? Is it all lost for people below the ‘astronomical’ 9 point CGPA? How can they make up for not crossing the barrier? Does pursuing Honors add weight to his/her Grad school application? A high CGPA is neither a necessary nor a sufficient condition when it comes to grad school. It is just one of the factors among the many factors that decides admission to grad school. But, this should not be interpreted as; having a low CGPA doesn’t hurt your chances. A good CGPA always helps, although the principle of higher the better is not necessarily correct. Similarly, a low CGPA doesn’t mean all is lost. But you have to make up with sufficient quality research to compensate for low CGPA. Very few people would have a research interest fixed in mind early in undergraduate. So, the concept of a course not aligning with one’s research interest does not make much sense. In fact, these courses are the one that would give you first sparks about which research area might suit you. In my opinion, every course has something to offer and one should look to gain these things out of every course. Also, as with any other aspect in life, the good and the bad always come together. If getting a good CGPA means higher chances of an admit to grad school and getting an admit to grad school means that much to you, you would definitely find the motivation to study hard for it. Also, the ‘astronomical’ 9-point CGPA is more of an artificial thing in my opinion. As I said before, CGPA is not the only factor and hence one should also do some quality research to increase one’s chances. It also helps one fully realize if a career in research is a right path for one. Honors program (at least in Computer Science) gives you the flexibility of taking more graduate electives. This particularly helps if you are unsure about what area excites you the most. But, if you would rather like to explore that by doing more research and fewer courses, then honors program doesn’t necessarily add more value. For most parts of grad school, you should show potential of a good researcher. Hence, doing more research is the best way to convince the committee that you are cut out for research. If you would like to seek these experiences from graduate level electives or otherwise is a choice that is personal to you. 5. How relevant are extra-curricular and Positions of Responsibility? If any, what position did you hold, and how did it help you? With respect to direct impact on application, extra-curricular/positions of responsibility have almost no effect. They are looking for promising researchers and they want just about that. It does not really matter if you were a Shaastra Core or a Saarang Pro-show Coordinator, since those things aren’t going to give evidence about whether you will be a good researcher. But, this doesn’t mean one should not try their hands at them. They should do so only for personal pleasures and shouldn’t look at them as an investment, which would eventually reap some direct returns in terms of grad school applications. Among many things, they teach you a lot of life skills, which you will otherwise never learn from classroom. In my particular case, I remember doing some webops/mobops activities during Shaastra, Saarang, and placements. I did them since, at that time they seemed challenging and nice to me. The biggest thing that helped me from those experiences was that I got to make a lot of friends with many of the smart people in insti. 6. Can you tell us about the other schools you applied to ? Did you have alternate options? How did you select between them? How do we gauge the authenticity of world rankings of a university and to which extent are they reliable? I applied to about 10 schools overall with a mix of Computer Science and Operations Research programs. 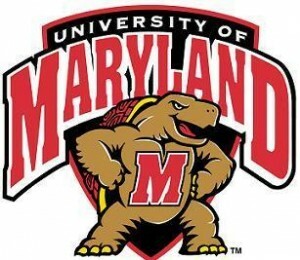 I had to make a decision between University of Michigan and University of Maryland, and ended up choosing University of Maryland. Personally, my criteria included a mix of department, potential advisors with whom I would work with, strength of the allied departments like Electrical Engineering, Math, etc., location of the university and proximity to the closest city. A lot of people underestimate the last factor. In my opinion, that is as important a factor as, choosing whom you work with. Grad school is a long journey spanning for at least half a decade. I personally didn’t prefer to work at an isolated college town located in the middle of nowhere, with the travel to the nearest city requiring an hour’s flight journey. Another method for selection that seems to work quite well is to identify some of the top conferences in your field of research. You can see who are the researchers that are publishing consistently and look at the universities they are associated with. This will also give you a good idea about the strength of these places. Finally, you should also mail current grad students working at those places and find out more specific details about the places. Each of this process involves a lot of work, but unfortunately, there is no shorter alternative. Ultimately, you are looking at where you would want to spend your next five or so years. You might as well put in the effort in making sure it’s the best fit for you. World rankings are an extremely tricky topic that makes a lot of people uncomfortable. One way to interpret them is by not looking at them as an absolute number but as a range. Does the university rank in the top 5, top 15 etc. Beyond that, it is hard to distinguish various universities, because for most parts they are all similar. Also, most of the rankings lag the reality by almost 3-5 years. Also, within academia, since professors move around a lot, it is hard to assign the strength of a university with a single number. Hence, the best way is to speak to your professors and find out what is happening in the universities, who are the people currently doing good research etc. Academia is a closely-knit circle, and usually professors in your department are the experts when it comes to choosing universities. In my particular case, I am extremely thankful to Prof. Jayalal Sarma, who helped me, and three of my batch mates in choosing the right places to apply to. He spent a considerable amount of time researching about the work people are doing currently. Without that, it would have been extremely hard for us to come to a good list of places. 7. How did you identify your recos? What matters in LORs, the proximity with the referee or his stature in the research field? What is the relevance of SOPs, and how does one write ‘the perfect SOP? Does an exchange program help?How important are recos, SOPs, CGPA, GRE score, projects/internships, publications etc. in relative percentage of weightage? Usually, a good recommender is someone who knows you well on a professional basis, can vouch for your skills, commitment and has particular instances he can cite in the letter. Stature in the research field is a criterion to consider, but that should come after all the above holds true. An average letter or a letter without any details, from a top-notch researcher does more harm than good. Good way to identify who are your suitable recommenders is to talk with professors whom you think you have either worked with well enough or done some quality research with and see what they feel about you. Most professors are open about their opinions and would say they would not recommend you or not recommend you well enough, if they do not have a strong opinion about you. Your internships also come in handy here. You would most likely have worked closely with researchers during that time and if they were impressed with your work, would give you strong recommendations. Also, a recommendation from a manager in the industry is not so strong as compared to a researcher in academia. Some universities explicitly place restrictions on having at most one recommendation from outside academia. Statement of Purpose is a one-and-half to two-page document explaining why you are a suitable and strong candidate for the program. It is the place where you can talk about goals, motivations and some of the technical and non-technical skills you have accumulated during your undergraduate. The best way to write a so-called ‘perfect SoP’ is to be honest about one and clearly write out one’s motivations, strengths and goals in general. You can look at SoP as an advertisement for a product. A bad advertisement is surely going to repel customers away from the product. A good SoP, would give your product the first look it deserves. But, beyond that it’s the quality of the product that ultimately decides its popularity in the market. Similarly, beyond that initial attention, it’s the other components in your application that will ultimately decide if you would be admitted. Since, most of academia works by word of mouth, a good recommendation from one person is more than enough to sway the decision in your favor. Similarly, one bad recommendation is enough to ensure your application being rejected. 8. Does work experience hold any importance, if yes, is it not advisable to work for a couple of years and then apply to Grad schools? Work experience is a tricky situation to consider when considering grad school. Many people, especially in the US, come to grad school after working for a while. They seem to have a better idea about the importance of their research as opposed to many people straight out of undergrad. On the other hand, when it comes to reaching one’s full potential, most people believe the earlier you start; the more chances you have on reaching your full potential. Hence, in conclusion, there is no correct answer, and depends on a case-to-case basis. But, if you think you do not have sufficient research experience, or do not yet know if you can commit yourself fully for a PhD, working, as a research assistant is one nice option. This gives you a flavor of research and also strengthens your application to grad school. You can search for research assistant opportunities at a number of places, including IITM, IISc, etc. Here again, your professor will be your best guide who can direct you to the right people. 9. What are the research internship avenues a student can look at? Could you please share with us your list of internships/projects and also the ones you are aware about? How did it help you? When is an ideal time to apply, and how does one go about it? Are students expected to do projects in the same field of research as they are applying, as they might not have decided on their topic of interest before actually working on it? How important is a foreign research internship, and how does it weigh as compared to an industrial internship? There are a number of avenues to seek research experience as an undergrad. There is no place like home; hence working on a research problem with one of your professors is a great way to step into research. There would surely be a course or two that would have excited you and you would want to explore further. Speaking up with the professor and letting him know that you are interested is a great first step. Other places for internships include programs like DAAD, MITACS, SN Bose program, etc. Most of these flyers are circulated around throughout the institute and one should definitely check these options. These programs are usually highly structured to help undergrads get a concrete problem to work on. The program usually has a number of hosts participating, who have a specific problem in mind. These are problems chosen such that, it is approachable by an undergrad, can be completed in the given timeframe of summer and possibly lead to a good publication. In many cases, students are also open to suggest the own problems they would like to work with and most researchers are open to working on those problems. Some other opportunities are research labs such as IBM, Microsoft Research, etc. For most parts, they have a similar model as to working at a university, where the host mentor has a specific problem in mind and you go ahead and work on it. Most of the application process happens between September to January before the summer. The best way to search for internships is to keep a lookout for interesting opportunities that are circulated by the department branch counselors. It is also a nice idea to talk to a professor you know and see if he has some ideas about where you could spend the summer. A “foreign” internship is not that important; what is important is you work on some research problem. Since, your ultimate goal is to see if you like research and apply with the required credentials to a good grad school, it is really important you work on research. As to where exactly you seek these opportunities is not so important. An industrial internship is not so relevant, especially if you plan to apply to grad school. With respect to computer science, most industrial internships are software engineer positions and you are expected to write code for software. They are equally challenging and fun, but they do not help prepare you for grad school. 10. Please tell us about the funding options for a Grad school? Did you apply for scholarships? Who is eligible for them? Is working part time over there a way to meet tuition fees/etc.? How much does one generally have to spend from his own pocket (savings/loans)? What is the cost of living for married research scholars, approximately? Since, in the entire article I have been referring to grad school as a PhD program, almost all grad students are completely funded by the department in the form of RA, TA, department fellowship, etc. The funds given by various departments vary according to the location, cost of living, the amount of funds the department receives, etc. Nobody ever becomes rich by attending grad school, but the funding is sufficient for a comfortable living. These funding sources usually also cover the tuition and give a monthly stipend for covering living expenses. Besides, there are a number of external fellowships one has access to. I will give some details with respect to the universities in the United States. In computer science, there are fellowships such as Google PhD fellowships, Microsoft PhD fellowships, Facebook PhD fellowships,etc. that are open to international students. Though most of these fellowships are only eligible for grad students in later years of their studies. If you are a citizen of the US or a permanent resident, then you have a wider access to fellowships. One such extremely popular fellowship is the National Science Foundation Fellowship. Usually, one has to apply to this before joining grad school and no later than two years into grad school. This usually covers tuition, provides stipend for fours years of your study in the program. Hence, if you are eligible, it is a highly prestigious fellowship to apply to, irrespective of your other funding sources. All in all, funding is not a major concern for most PhD programs in Computer Science. You will not have to end up taking student loans or borrowing money from others. As far as married research scholars are concerned, its slightly more tricky, but still manageable. If both the members have some form of income, then one can easily manage with the funding available in grad school. In case, the family depends on a single source of income, it is still manageable, but one has to live a frugal life. 11. Students fear that, later, they might realize that they have no interest in the research field they have chosen, and hence hesitate to commit such a long duration of their lifetime. What do you suggest should one do/think in such a case? Also, how to choose among MS, PhD and an MS+PhD integrated program? Just to clarify things upfront, in the US most schools have an MS program and a PhD program, which by default is an MS+PhD program. What this means is that you will get an MS “on the way” to your PhD. Some schools explicitly force you to finish MS requirements within a stipulated time and earn the degree while some other give you liberty till the time you finish your PhD to earn the requirements and hence the MS degree. If I am not wrong, very few schools have a PhD program where they do not give you an MS, if you choose to drop out at a later stage. It is indeed a valid concern, but that is not something to really worry about. You should be more concerned about whether or not you like doing research in general. A lot of people switch areas at various points in their career. In some sense, a PhD prepares you to work on a new area by overcoming the steep learning curve as quickly as possible. Hence, if at any stage of your PhD, you lose the spark you had for your area, you can still switch to an interesting area (as long as its not too far away from your original area) and continue research in that area. In fact, most graduate schools recommend first year PhD students to keep an open mind and explore areas before fixing upon an area. Hence, in summary, the only question is whether you wish to commit such a long time towards research or not. Do not fret too much whether you would have the sustained enthusiasm for a single topic you have in mind before joining grad school. You can always find interesting problems to work on as long as you like the process of doing research. To choose between a MS and a PhD program, there are multiple criteria. Firstly, most MS programs are based on courses. Your objective is to finish a set of courses and may be a short project. On the other hand, primary purpose of a PhD is to make you an independent researcher. You do take courses, but they are just to help you supplement your research. Your focus would always be on doing good research. Hence, if one has an idea about what one would want to accomplish, then the choice to be made is almost obvious. Sometimes, people may wonder if doing a MS first would good them a better idea about if they are cut for a PhD or not. This is not true in most cases, since the primary purpose of a MS degree is different. The only way to know if you like research is to do research. 12. Did you consider the options offered in other countries, says Germany/ Australia/ Singapore/ France/ Canada? If yes, can you please discuss the pros and cons of choosing them over graduation in the ‘famous’ school in States, in terms of fees and cost of living, quality of research and education, scope of jobs after graduating from those schools and the quality of life in those countries, as you see it? I didn’t apply to any schools outside the United States. 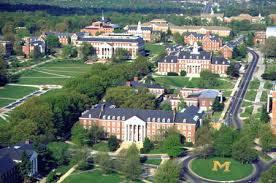 Though there are some schools in Europe and Canada, for example, which are comparable to a top university at the US. It just was my personal choice to not apply to any schools there. Both in Canada and in Europe, I believe one has to first apply to a MS program, complete the requirements and only then apply to a PhD program. Unlike the US they may not offer a direct PhD program. If anything, this just increases the total time spent in MS+PhD program. Since, I didn’t go through the specifics of the universities and weigh pros and cons in greater detail at those places, I may not be able to comment much about the cost of living, quality of research etc. 13. What work do you plan to do after you finish your doctoral, and where do you see yourself after 5-10 years? I am still undecided about a particular career path. Broadly, it would be in the domain of a researcher, but as to whether it is in academia or in industry or elsewhere is something I do not have a clue about right now. Partly, this is because of multiple factors that affect one’s decision. For example, one of the major factors is the limited amount of positions in the job market for academia. Roughly about one in every ten of the graduating PhD student can realistically expect to find a position in academia. Other major factors include preference for teaching vs. doing only research, contributing to product research against intellectual pleasure, etc.